We invite the adventurer in everyone to the Toronto Zoo for a night at Serengeti Bush Camp. You'll explore our African Savanna, meet the animals who inhabit it, and camp under the Serengeti stars. It's an unforgettable experience. For more information click here, or call 416-392-5947 for a list of available dates. Sleep near the animals at a campground or hotel. 401 Highway and Victoria Park. 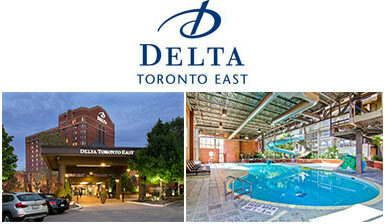 Toronto Don Valley Hotel & Suites.